The book of Numbers is typically not at the top of everyone’s reading list. For that matter, it generally isn’t the preacher’s go to book either. While some preachers might preach certain passages out of Numbers, rarely will a preacher take on the daunting task of preaching through the entire book. As advocates for text-driven preaching, one of the things we tend to push for is systematic preaching of books of the Bible. But should one really preach each passage in the book of Numbers? In a recent conversation I had with David Allen, Dean of the School of Preaching at SWBTS, he pointed out that it is not necessary to preach all the way through the book of Numbers in a systematic manner. In other words, a preacher should not feel obligated to preach through each chapter of the book as if to develop a sermon for each section, even the genealogical material. Having said that, that does not mean that all these sections should be neglected either. Since we are “people of the book,” and believe in the divine inspiration of the Bible, we must recognize that these sections are in Scripture for a particular purpose. It is important we understand that purpose and convey it to the people in our congregations. With this in mind, we can now develop some tips that will be helpful in preaching the book of Numbers. The tips that follow are given with the understanding that you have made it a point in your preparation to first read the book of Numbers. If we do not start with the simple reading of the text, then what is the point in trying to preach it? The first tip I want to give is about the outline of the book of Numbers. This is an important point because it will help the preacher capture the flow of the book and the arguments that are present. The good thing about searching for outlines of a particular book is that they can be found everywhere. A quick google search will bring up many outlines of the book of Numbers. Outlines can also be found in good commentaries. For example, R. Dennis Cole’s commentary on Numbers in the NAC series, published by B&H Publishing, has a good outline in it. Also see Interpretation: Numbers by Dennis T. Olson (John Knox Press). These are just a few of the many commentaries out there. Look for ones that have good outlines and then examine why they outlined the book in the way they did. This must take place after you understand the outline of the book. The point of the outline is for you to see the transitional passages. These passages will often be important sections that you will want to focus on. They help bring out the flow of the book and will help you better convey the book of Numbers to your congregation. Beyond these transitional passages, there are other key passages that contain important historical or theological information. For example, Numbers 9 contains important information about the Passover and the significance of the cloud and the fire that guided the people. 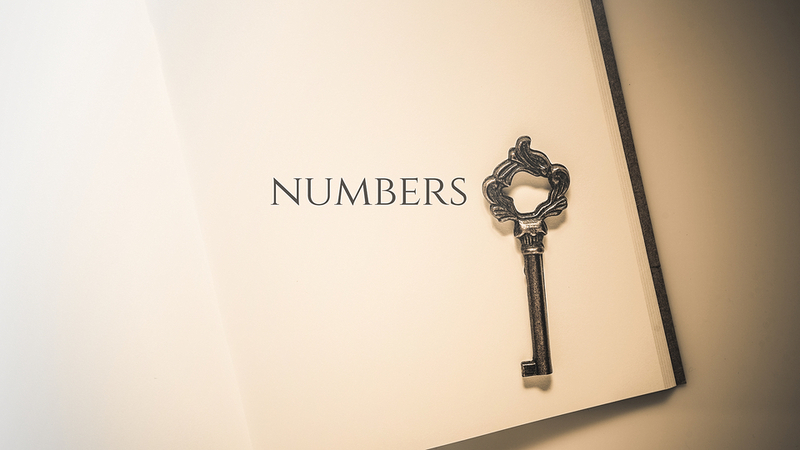 You will want to make sure you highlight these passages in your preaching of Numbers. After you have read the book, consulted good outlines, and found the key passages of the book, it will be helpful to note the theological themes contained in Numbers. These will be the points that you will want to draw out for your congregation. There are several ways that you can find these. First, as noted earlier, nothing can substitute for the simple reading of the text. As you read it, ask God to illuminate the text for you so that you can better understand the theological themes He is conveying. Secondly, never forsake the introductions to commentaries. You will find a wealth of information in these that focus on the theological themes of Numbers. For example, Timothy R. Ashley’s The Book of Numbers in The New International Commentary on the Old Testament series, published by Eerdmans Publishing, contains a helpful section on the theological themes of Numbers. Many commentaries contain a section like this in their introduction. Third, find some good Old Testament Theology textbooks. While these might be a little more academic in nature, they are extremely helpful in understanding the flow of theology in the Old Testament. Some of them are outlined in a way that focus on the theology of a particular book (i.e. A Biblical Theology of the Old Testament by Roy B. Zuck, published by Moody Press). Others are written from a thematic approach covering the entire Old Testament. These are helpful because they will show you how the book of Numbers fits into the theological landscape of the Old Testament (See An Old Testament Theology by Bruce K. Waltke, published by Zondervan; Old Testament Theology by Ralph L. Smith, published by B&H Publishing; Old Testament Theology: A Thematic Approach by Robin Routledge, published by IVP Academic; and the classic two volume work by Walther Eichrodt, Theology of the Old Testament, in The Old Testament Library series, published by The Westminster Press). These works do not need to be read in full, but consulting these as they apply to Numbers will be an invaluable aid. There are many tips that I could give you that would assist you as you prepare to preach either through Numbers or to do a series on Numbers. The three mentioned above are a good starting point to help you better understand the book of Numbers as a whole. Having done this initial work, you will be ready to identity the pericopes that you will preach, and you will be prepared to do your exegetical work. And remember, our goal is always text-driven preaching. Don’t just preach the themes of the book. Preach the text, and highlight the themes from the text as you come across them. About: Todd Tucker is a PhD Student at Southwestern Baptist Theological Seminary in Systematic Theology and Pastoral Ministry. He also serves as the Research Assistant to the Dean in Southwestern’s School of Preaching.